Thunderstorms can be a dangerous temptation to a fisherman. Like King David gazing upon Bathsheba as she bathed, a fisherman looks toward the ominous, incoming clouds and sees opportunity. When a storm rolls into an area, it causes a big drop in barometric pressure. This is the weight of the atmosphere pushing down on everything, including the water. When that wieght drops quickly, it causes a huge rise in fish activity. I’ve caught some great fish right before a storm strikes. I can remember being right outside a bay on a lake up north as a storm rolled in. We hadn’t caught much all day, but a wall of thick black clouds was approaching quickly. I managed to hook into a nice sized walleye using a Lindy Rig, but lost it right before I could get it in the net. After that we had to get off the water. The key is to be smart about the situation. The lightening that accompanies these storms can be fatal, and out in the middle of a lake is not a good place to be. Fishing right before a storm is a balancing act of staying long enough to hook into some fish but leaving before conditions become dangerous. Similarly, as Database Administrators we are often forced to perform tasks within some tight windows. Software updates can involve both schema and data changes that need to be deployed (and possibly rolled back, if the software update is unsuccessful) within a short timeframe. Moving databases from one location to another is another task that may need to be done within a small window of time. One very interesting challenge that I encountered during my first few months as a DBA was a significant table change on a very large production table. This table held over a billion rows of detail records, and had an integer for the primary key/identity field. A little less than a month before it happened, we noticed we were running out of integer values for this field. We needed to change the field to a bigint, but this change required a significant outage. It is helpful to have a way to measure progress when performing changes that take a long time. I found this query which has been helpful in estimating the time required to do some longer running tasks. I’ve found it works well for database backups and restores. There’s a lot to think about while fishing, and if you’re not giving it your full attention, you’re going to miss some fish. 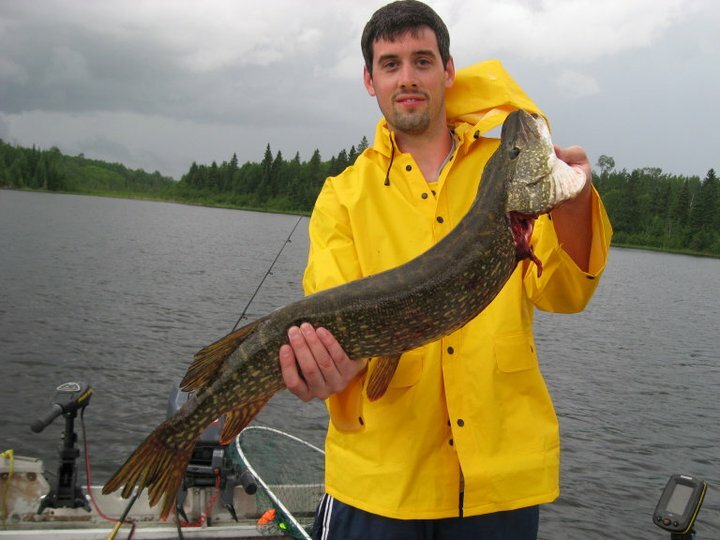 Muskie fishing in particular adds some additional things to focus on that you may not have to think of while fishing for other species of fish. The first is the “figure eight”. At the end of each retrieve you should smoothly transition into the figure eight by reeling until the beginning of your leader is almost to the end of your rod, then start pulling the lure in circles next to the boat. This gives any muskies that are following another chance to decide to bite. You want to make sure you transition into the figure eight in a smooth motion so the movement of the lure appears natural to the following fish. Many muskies are caught on figure eights each year. Another thing to focus on is lure speed. It’s easy to get in a “cruise control” mode and just crank away at a comfortable pace, but lure speed is a key component. Often times the muskie are lethargic and you need to slow down your presentation to elicit a strike. At other times you’ll want to really burn that lure through the water to try and provoke a reaction strike from the fish. In addition to these two details there are dozens of other things that you should be concentrating on if you want to be the most successful fisherman that you can be. 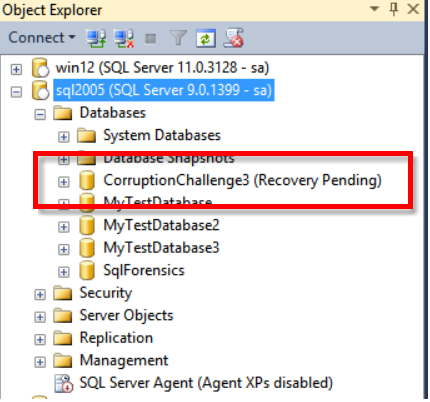 SQL Server has a lot of things to concentrate on too. One way that it tries to work more efficiently is through the use of the Procedure Cache. 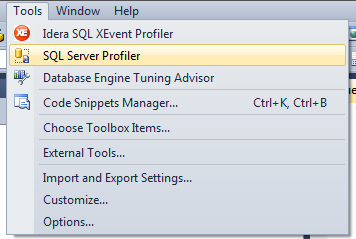 This is an area in memory where SQL Server holds query execution plans. 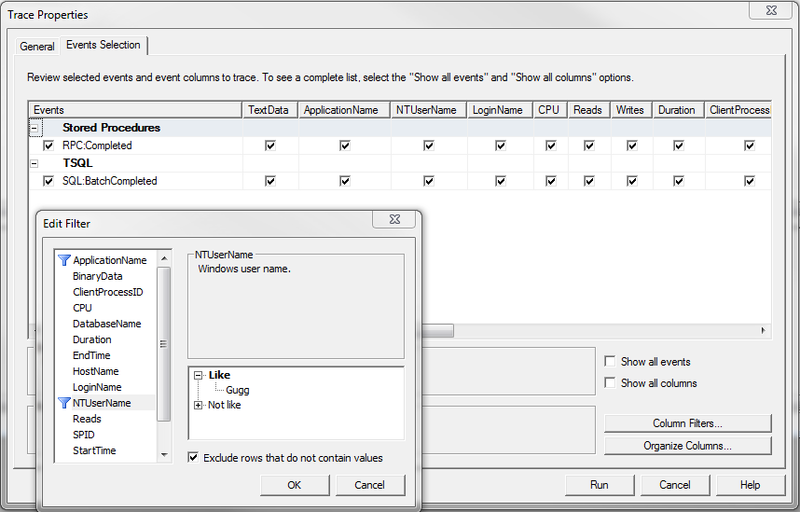 This prevents SQL Server from having to build a new execution plan every time a query is run. 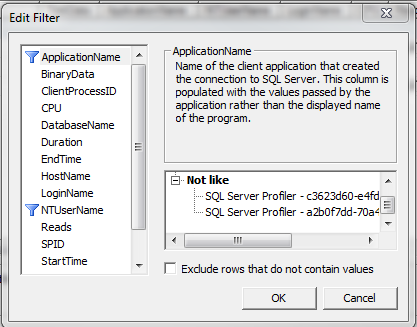 Think of stored procedures that are run several times a minute – not having to create a new execution plan each time saves SQL Server a LOT of overhead. There are two parts of an execution plan – the query plan and the execution context. The query plan is the data structure used by the query. 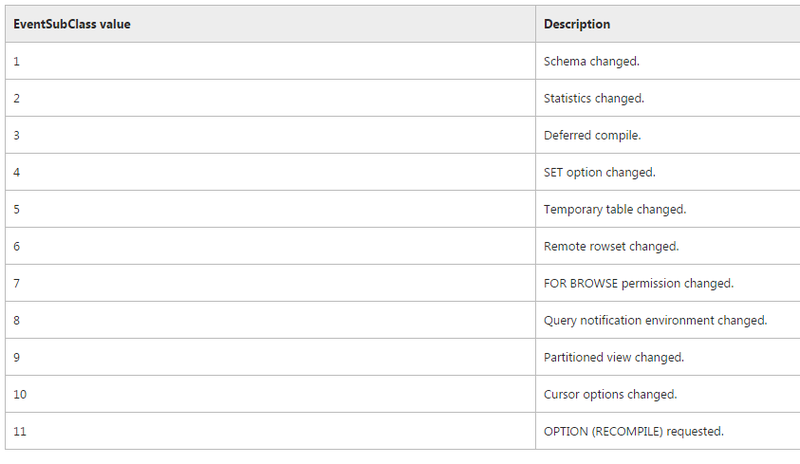 This would contian the instructions with the objects that are being used in the query, such as tables, views, etc. There can be up to two copies of a query plan – one for serial executions and one for parallel executions. No matter the degree of parallelism, their is only one parallel execution plan. 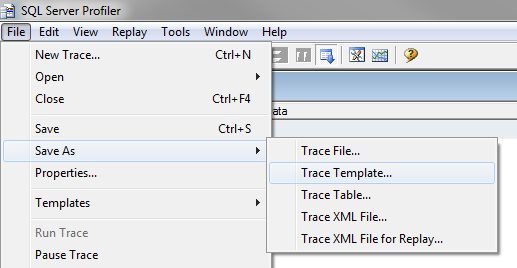 The exeuction context stores the variables or parameters used in the execution of a query. Aside from the Procedure Cache, the other main component being stored in memory is the Data Buffer. SQL Server pulls data from the disk into memory for faster read and write operations. Knowing this, let’s think about the lifespan of these execution plans. 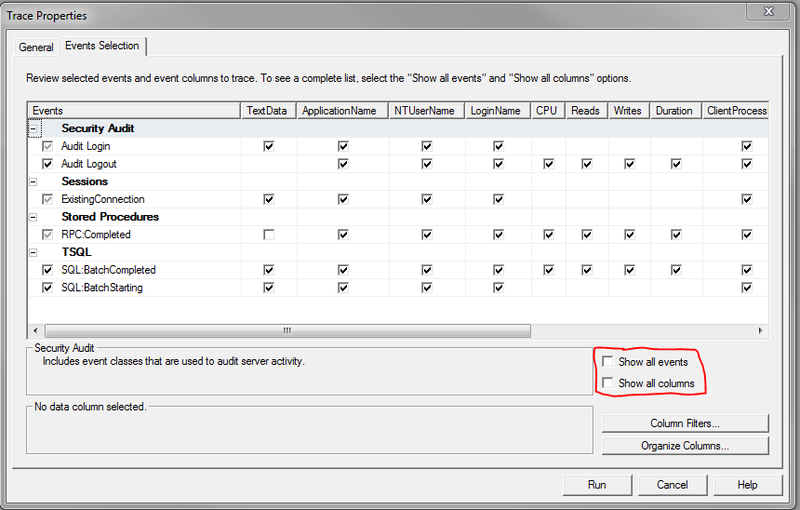 We want to make sure SQL Server has memory available for incoming data requests and incoming query plans. This means there needs to be a mechanism to remove plans that no longer need to be kept in the Procedure Cache. SQL Server has an interesting way to keep more expensive and often used plans in the Procedure Cache while pushing out plans that are cheap or infrequently used. When an execution plan is generated and inserted into the Procedure Cache, a cost is assigned to the plan based on the cost to compile the execution plan. Every time the execution plan is used the cost in the Procedure Cache is reset to the original cost needed to compile the plan. If SQL Server runs out of free memory, it realizes it needs to push some of the execution plans out of the Procedure Cache. To do this is examines each plan one at a time. If the cost of the plan is greater than zero, the cost is decrimented. If the cost of the plan reaches zero, it is eliminated from the Procedure Cache. Once enough plans have been pushed out of the cache, the process stops and the new execution plan is inserted into the Procedure Cache. Additionally, any invalid plans are removed from the cache. I’ll describe some different ways a plan can become invalid a bit later. One exception to this process is Ad-hoc plans. No matter the cost to compile an Ad-hoc plan, it is always inserted into the Procedure Cache with a cost of zero. This means the plans will always be eliminated from the Procedure Cache first, and the plans will usually not be reused. As a warning, the Procedure Cache can contain a LOT of records. It is a good idea to limit your results with the TOP operator. From this screenshot you can see the original cost and current cost are the same. This is because of the very low amount of activity on my Sandbox environment, I don’t have any memory pressure. Next I’ll create a stored procedure to get data from that table. I’ll also run the SELECT statement outside of the stored procedure to create an Ad-Hoc plan. 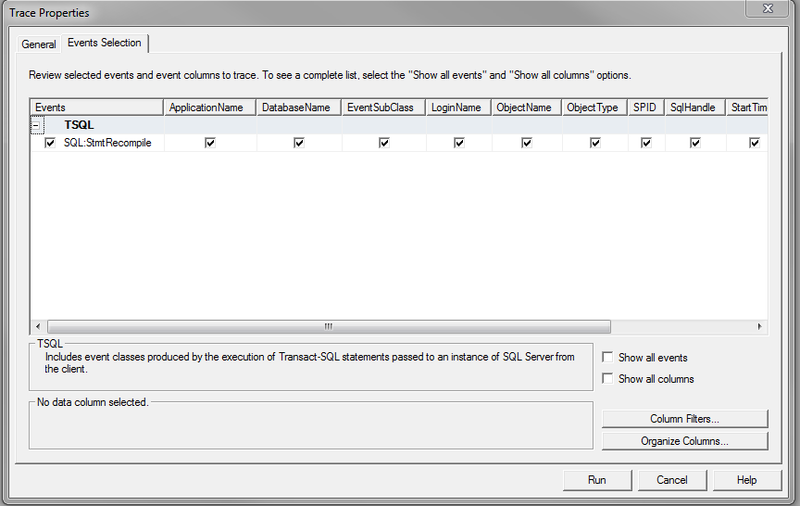 To see the stored procedure get invalidated, I’m going to use Profiler and choose only the SQL:StmtRecompile event.